Dealing with divorce comes with a lot of questions. You may feel very alone, but we hear several of your questions more often than you may think. Browse our FAQs—we think you'll find a lot of helpful answers! What is a protective order and how can I obtain one in Virginia? A married couple in Virginia may begin the divorce process for any number of reasons, one being the presence of domestic violence within the family. If this occurs, seeking a protective order may be the right choice when consulting a family law attorney and finalizing the divorce agreement. In the Commonwealth of Virginia, domestic violence is qualified as abuse—emotional, physical, or sexual in nature—carried out between intimate partners or family members, with the purpose of establishing dominance in the relationship. 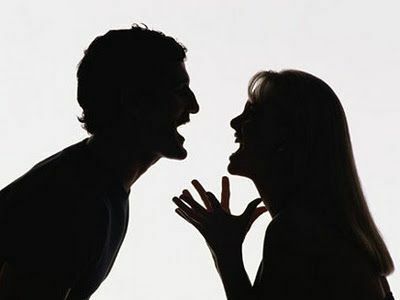 While being the victim of abuse within a marriage is an extremely distressing and difficult situation, there are options for preventing the continuation of such an ordeal. For example, a request for a protective order is certainly worth discussing with your family lawyer if your situation applies. A protective order is a civil law order authorized to limit contact and prevent further abuse between the abuser and the victim, and it can vary in duration (ranging from 3 days to 2 years) and in strictness. To obtain a protective order for domestic violence in Virginia, a petition must first be filed at your local Juvenile and Domestic Relations District Court Services Unit (CSU). There is one located in every county and city in Virginia. There, you will be able to provide the information about the abusive situation and the abuser’s identification. Read through the Code of Virginia's section on Protective Orders for a complete definition of this concept. Although consultation with an attorney is not a requirement for establishing a protective order, having a knowledgeable guide could be a great advantage when considering your options. With offices in Richmond and Williamsburg, Virginia, our firm is ready to take your call about any family law issues you may be facing, including divorce, custody and support matters. You are also welcome to request a free copy of our Founder H. Van Smith’s latest book, The Ultimate Guide to Divorce & Custody in Virginia: Quickly Get Back to Fully Living Your Life.